From afar, it looks like your usual kids’ playground, what with its vibrant, fun design and printed words on the walls and on pathways aimed to inspire and motivate. However, a closer look reveals towering pole buidings, some with tarp roofs, all with unusual contraptions and long, massive ropes and cords hanging from their frames – it looks more like an outdoor practice arena for circus routines and performances. And in essence, it is. Typically, I’m terrified of heights. I’m not one to go skydiving or bungee jumping or even crossing glass skywalks that show great depths under my feet, no matter how much you assure me that it’s completely safe. I’ll go on a rollercoaster, but I’ll still get that feeling of impending doom right before I get on. A few days ago, however, I was able to step out of the confines of my comfort zone and quell my fear of heights. Granted, it probably wasn’t a typical week at Club Med Punta Cana. The kids were still splashing around in the pools and the adults were trying their luck with windsurfing and sailing as usual, but there was something distinctively different. It was a more inspired kind of different, with the resort having recently launched this exciting open play space they aptly call Club Med CREACTIVE by Cirque du Soleil, located not far from the nice stretch of sand on property. 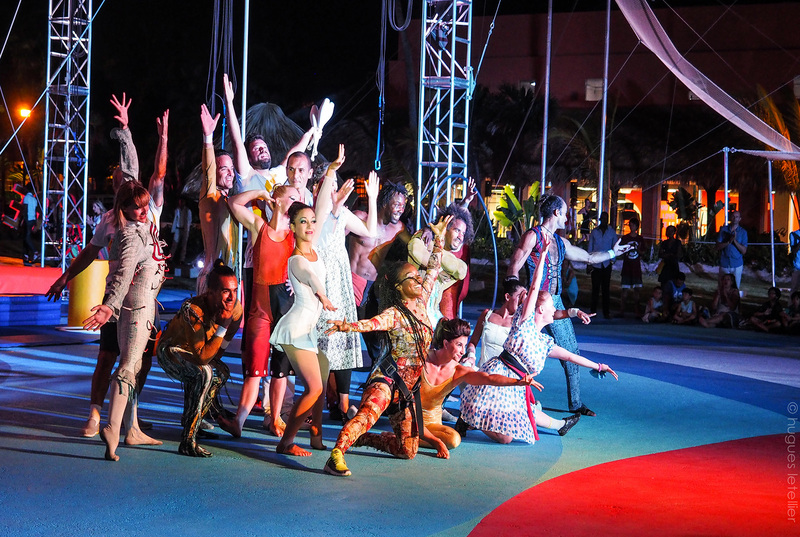 It’s Club Med’s inaugural collaboration with Cirque du Soleil and simply phenomenal, offering an interactive and fully immersive circus experience for resort guests in a fun, gets-the-creative-juices-flowing-and-the-adrenaline-pumping kind of way. 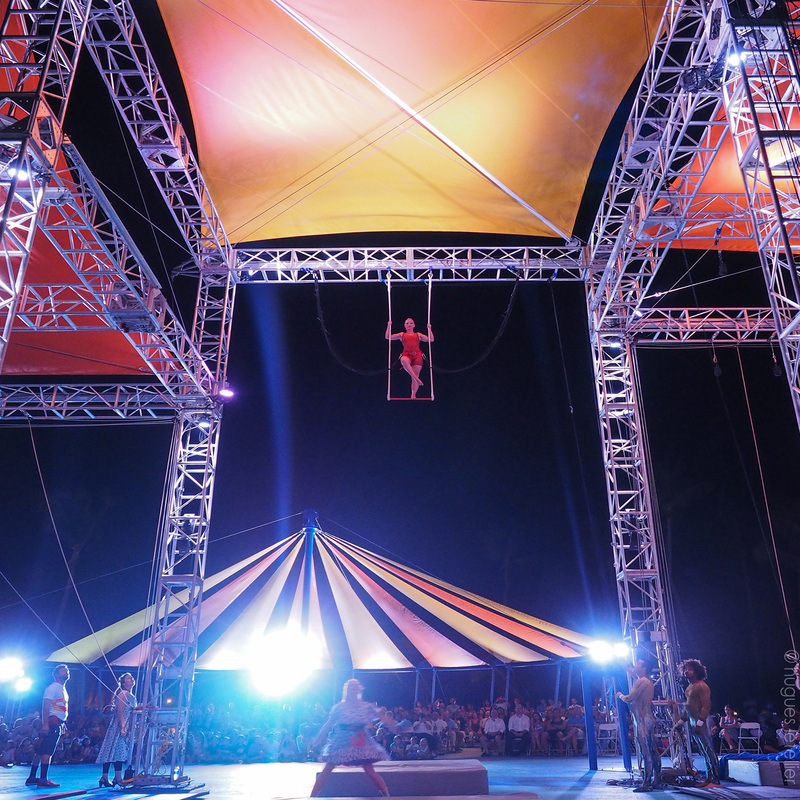 CREACTIVE features over 30 activities from wild acrobatic endeavors like the flying trapeze, acrobatic bungee, wall scaling and trampoline to artistic pursuits like dancing and mask and face painting, and acting. Of course, an amazing crew of talented, well-trained, experienced AND multi-lingual Gentils Circassiens is there to show you the ropes, make things easy, and put minds of the less dauntless (including me) at ease. And in case there’s still a lot of hesitation to try on the acrobatic activities, the crew also puts on showcases to make the activities look even more appealing. 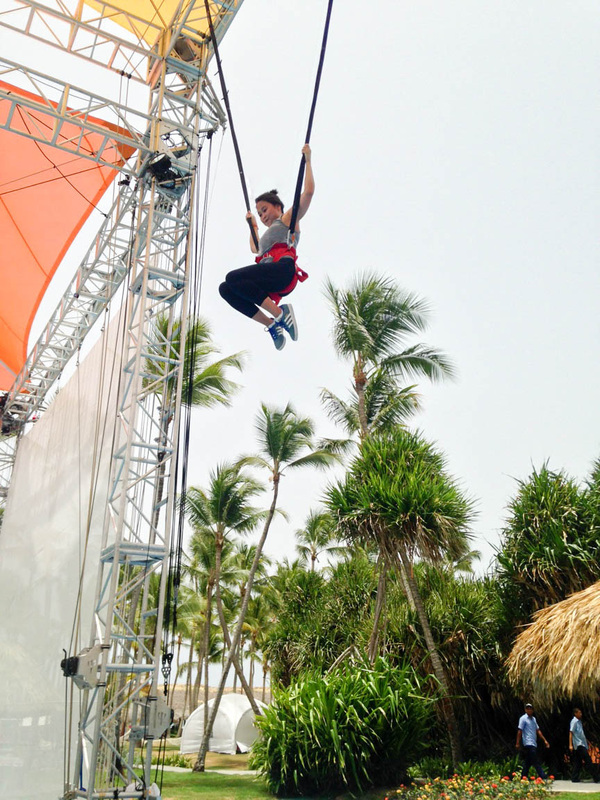 This new addition to the resort presents a perfect opportunity for kids (seriously, I’ve seen 5-year-olds do the trapeze) and adults (there were older adults doing triple flips!) to push limits and reach glorious heights. It’s here that many, from little daredevils to grandparents looking for new experiences, are now flocking to learn and do cool new tricks they wouldn’t have access to in most other resorts in the Caribbean. And it was here that I conquered the trapeze, albeit not without screams of trepidation, and did acrobatic bungee flips a good 10 feet off the ground. Yes, me who gets paralyzed when I have to look over a balcony despite the presence of stable railing. The experience was scary at first, but then it was fun and then it was exhilarating. And then it was something I wanted to do over and over again.